So of course I KNOW we never ever judge so I'll get COMPLETE understanding when I tell a dirty little secret...I never posted last years Halloween pictures and events. Hey I was a newbieish mother of two! But yeah we didn't even make it to the pumpkin patch?! I mean....Ugh! Anyways I still have the pictures, and guys, I think I appreciate them MORE now than I would have before. 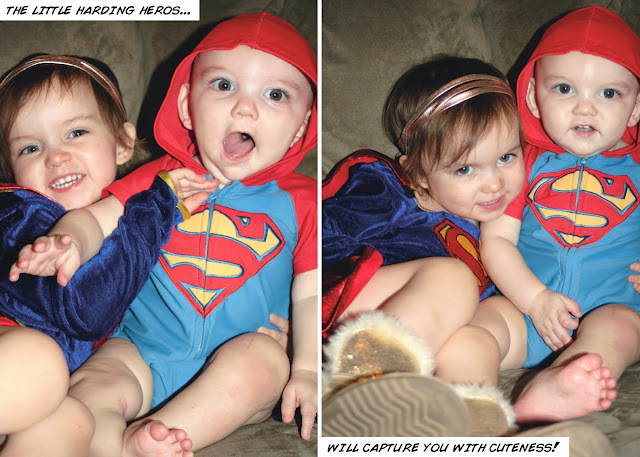 So last year being the creative (read frugal) type I decided to use an uber cute baby Gap swimsuit Superman outfit for Fletcher and I purchased a matching Super girl outfit for Reegan. 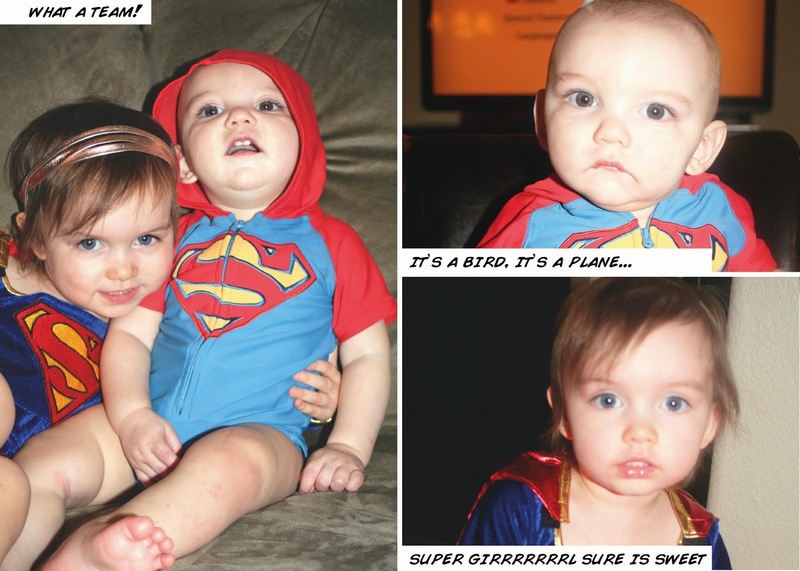 I was afraid Fletcher would dislike costumes like his sister did the year before. 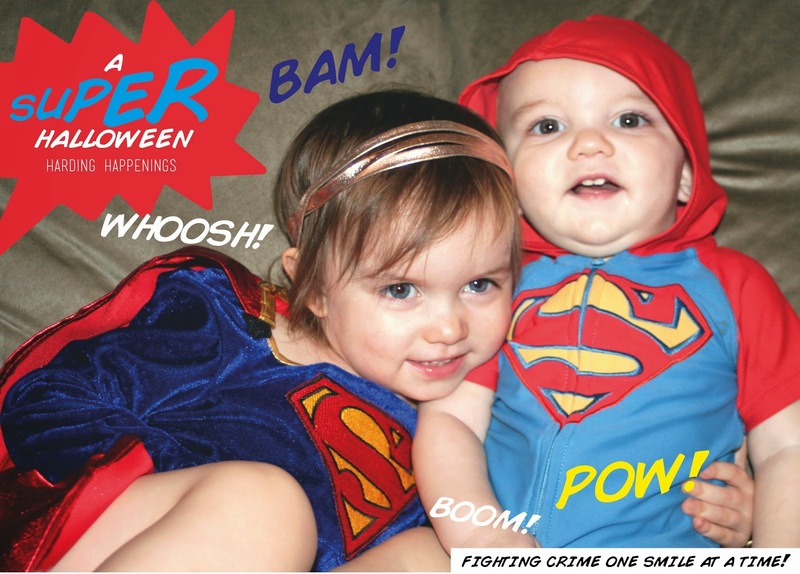 I feel like I am I the only one who's kids HATE...I MEAN HATE...cute Halloween costumes?! For Reegan's second Halloween we ended up doing skeleton jammies because she had epic fits over the cute cupcake outfit I hoped she would wear. Fletcher is the same this year with a fish outfit I had picked out for him. But I won't be out smarted. No jammies for the kiddos this year but I was sure to get them something comfy to be revealed at a later date. Hope you enjoyed the pictures from last year! AND if you're still with me you get a surprise! 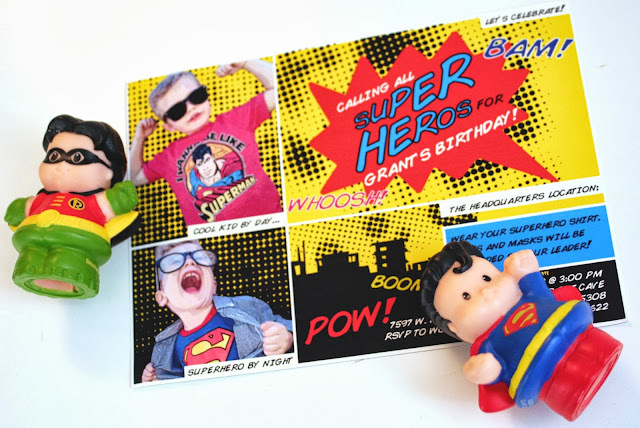 I recently design a Superhero theme invitation and I'm sharing it here! Want a free digital design of this card?! ENTER BELOW! 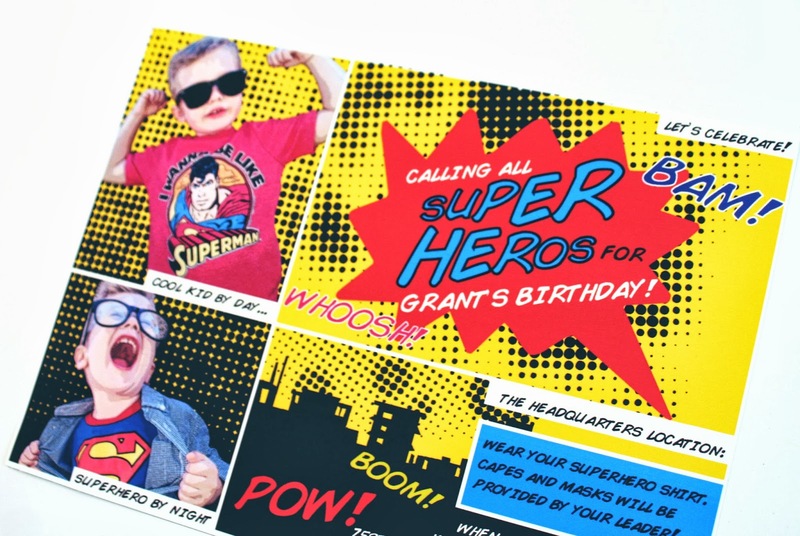 This is such a great invitation! !